Members of Xnet, representing many different fields, have had their work published in the below publications. Transparency in finance and global financial transactions. 19 chapters written by various authors, including Simona Levi from Xnet. (Es) “Votar y cobrar. La impunidad como forma de gobierno”. Un libro para la acción. Protect your story, your source and yourself online. Stories at the dawn of the digital age. 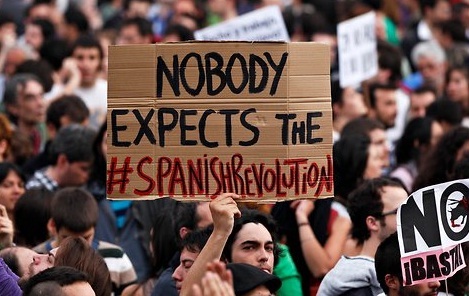 About the centrality of digital networks in the # 15M. Basics to defend what belongs to everyone. Ideas and recommendations for stronger transverse collective, public and private financing instrument for culture. A transdisciplinary look to the 15M. sharing and connecting inputs, an opportunity to find new forms of action and to change the rules of the game. b – The Net is constantly moving and evolving; this is what defines it, at least for the time being. A tactical formula that works for a while will stop working unless it is constantly changed and improved. The things that we are going to tell you here are changing even as we write. We can only hold onto the essence, the philosophy, the ethics of these practices, rather than the practices themselves. c – the thoughts compiled in this text refer to the way political actions are structured. We can start many actions simultaneously, but we have to study each one separately. We’re talking about actions from inside the illogical logic of the system. Naturally, we also have to inhabit spaces outside of the system. But those are governed by other rules and ways of behaving that aren’t included in these pages (4). d – It is clear – or maybe it isn’t – that we have to tactically consider what a particular moment in history demands from us. For example: there’s a big difference between the actions required by the momentum of the Indignados’ Movement in its early days and what the Indignados need now. In other words, the tactics that worked six months ago won’t work now, and the ones that work now wouldn’t have worked then. e – For this same reason, the first bad habit we have to get rid of is our tendency to emulate ourselves. This bad habit is closely linked to onomastic obsessions: celebrating our own anniversaries, in our own “historic” places. We write ourselves into history before we’ve finished. An that’s a pity because our main asset is surprise: the ability to do the unexpected, unexpectedly, in unexpected places. It seems obvious, but it isn’t: we have to ask ourselves what our objective is, and then stick to it. We have to carry our legitimate hopes, dreams, dogmas and faith with us (see below when we talk about our “ideological body of beliefs” and “memeplexes”), but we have to store them away at the bottom of our hearts/minds. If you can’t answer these questions, your objective is not concrete enough to share. And even if you can answer them, it still might not be. Where am I going with this? I simply want to start by sharing these things that I’ve learnt. By suggesting that it’s probably best not to bother anybody unless we are well-prepared and clear about our objectives, so that we can contribute solutions, not problems. It’s easy to know what we don’t want because we experience it. But it’s difficult to know what we do want, because it has to be a mix of invention and experience at the same time, otherwise it won’t have any consistency. Perhaps we only know the questions and not the answers? It’s important to resolve our doubts and do our complaining in other spaces, to “cry elsewhere”, otherwise we do not know how to be free. The Internet, the ethics of the Net and the hacker ethic (2), have taught us to do things, rather than demand that things “get done” The only thing we demand is the removal of all obstacles to “doing”. We can be several of these at the same time, but we have to be aware of the different kinds of behaviour each identity entails. Mixing them unwittingly can turn out badly – tactically and even “legally”. When you choose one or more of these identities it doesn’t mean that you withdraw from more general voluntary or inevitable spaces for interaction (assemblies, neighbourhoods, cities). Note on step 2: Some thoughts on the opportunity to be a one way or another (inspired by conversations with Xavier Barandiarán). “Herd” in the very positive sense of the term. We can also think of a flock of birds. Our brains spontaneously synchronize stimuli: if something “makes sense” a connection happens; if it doesn’t, there is no connection. Connection means collective “attention” although it does not necessarily lead to a collective decision. Catalyst (loosely based on Wikipedia definition): a catalyst is a substance or device that speeds up a scientific process. In chemistry, catalysts are small groups of molecules that change the rate of a reaction, making it faster (or slower). Catalysts decrease the amount of energy required for a particular process. Catalysts amplify and guide the power of a reaction. They are small, flexible groups that channel “collective attention.” They do not consist of more than 20-50 molecules. We should not be afraid to be few in number if that is all we can or should be. And we shouldn’t attribute the qualities of a catalyst to a herd. At this stage of the Indignados’ Movement, the time has come to speed up processes by working as many small, independent nodes with autonomous decision-making capacity, who know what needs to be done, and support each other when and only if it becomes necessary, recognising each other through our work, which is also the basis of our reciprocal trust. 3 – We already know that it’s not enough to simply know who and what we are. We can take on several of these identities at the same time, but we should be aware of the different kinds of behaviour they entail. Mixing them up unwittingly can end up badly – tactically and even “legally”. 4 – Our interactions should not be horizontal in nature, but merit-based, in the positive sense: the kind of merit that is always in process, always available to those who cultivate it through work and experience, following their own needs. This idea tends to shock people who are unfamiliar with networking dynamics, but it’s patently obvious to the members of most virtual communities, who work with it as part of their everyday practices. We are all different. This is what guarantees the impossibility of imposing verticality onto a “meritocracy”, because there will never be just one merit or a single skill, there will always be many different ones developed by all sorts of people. This is why forces tend to come together around “finished work”, theories-put-in-practice and ways of life, rather than around fantasies and opinions. Horizontality is a fallacy: as Michel Bauwens and many others have amply shown, in a given group 1% of people execute, 9% contribute and 90% parasite, complain and weigh it down (btw, these are the ones who have not done their “crying elsewhere”. For them, we paraphrase some advice from marketing wiz Paul Arden: energy is 75% of the job; if you haven’t got it (or can’t have it), be polite). To explain this “provocation” J that I’m using to try and shake up what I see as a certain stagnation, all I’m trying to say is that when somebody expresses an opinion, we should be able to ask: “This thing that you’re expressing an opinion on – what have you done in relation to it, or what do you know how to do?” If the answer is: “I haven’t got the faintest idea, my opinion is based on my beliefs”, well this person loses points and will find it much harder to win the stuffed toy prize at the end. And lastly @axebra, sent me this important clarification: “We can prevent a meritocracy from becoming an excuse to fall into influence peddling and corruption by including two other variables from hacker culture: Transparency (so that merit can be analysed objectively – as you can see the code that each developer has contributed in open source projects), and that the result must become part of the Commons (the material generated cannot be claimed by a particular individual or group, but must benefit everybody, like free software or a corrupt politician going to jail J). 5 – This is also why we defend attribution (which includes anonymity, that is the impossibility of attribution if the person who “makes” it prefers it that way): individual autonomy and empowerment create healthy groups that each member can contribute to according to her abilities, opportunities and knowledge at each point in her life, and be recognised and respected for it. Recognition from the community and the outside world means selfcare and identity. It frees you from the frustration and anxiety of affirmation, and allows you to calmly free the fruits of you work for the common good. We’re not asking for anything, least of all charity. We simply are. From way back, we’ve always defended “divorce” J (the fork): we cooperate as autonomous individuals around specific projects; ideally, we don’t ask the group for things that it can’t give us, because we’ve already done our crying elsewhere. We can take different paths at any moment. Being together and hating each other is not a strength; it is cowardly and it’s a weakness. Distributed networks don’t need a nucleus in order to operate. We are autonomous individuals, independent nodes that happily, voluntarily come together for a common purpose at a particular time. We can try to achieve the same aim separately if our methods and moods are different; in the most of the cases, every bit helps. We interact through dynamics of cooperation, not dependency. The Network of Networks is a distributed network, and this is the basis of its functioning and philosophy: relevant trust networks that are distributed and autonomous in relation to their specific activities, in which no node needs to know in detail what the others are doing in order to move forward and support each other. These nodes, which are separate but linked by bonds of trust, can support each other when the need arises, but as a rule they operate as sovereign, autonomous groups. Altruism is selfishness that hasn’t come out of the closet. Even in its smallest form (two people), “democratic” organisation is not about attaining the impossible goal of always agreeing (dogma and centralist control). It’s about creating a space of ethical trust that allows some of us to look after certain aspects and develop our skills in them, while at the same time we can let go of controlling other aspects because we know that others will take care of them. This forces us to shed the prejudices that lead us to try and control the actions of others. People who are obsessed with centrality (the centrality of an assembly, a neighbourhood, parliament) don’t realise that the things that are outside of the centre will always be “more”: more representative, more numerous, bigger, freer, more flexible, more volatile, newer and, above all, more real. What better example than “representative democracy”: the dictatorship of the largest minority over the majority of minorities. It’s not true that if we want to reach our goal “we must stay together”, that “together is better”, that the herd is always best. It’s always good to separate. It’s the only thing that makes it possible to come together again. 7 – We are uncountable and unlocatable. So why are we so determined to be counted and located? Why, when, and for what? It’s rarely useful to count ourselves; it’s even more rarely useful to let ourselves be counted. It’s only useful when there are more of us than the minimum number required for a specific purpose. That’s something we have to know in advance. And I mean “know”, not “wish”. That’s the way it is: if we want 10,000 people at a demonstration, we need to contact 100,000 people directly. There have been rare exceptions, and all of them were very well organised in advance, such as the Indignados’ Movement (3 months preparation). So we shouldn’t bother people with mass calls for participation if we can mathematically calculate that we won’t end up massively summoning anybody. All of us may not be present at a particular moment, but that doesn’t mean that our numbers are not much larger than they appear. 8 – There’s no 1 without the 8: what is our target group? We can have several ‘targets’ at the same time, but we should be aware of the different kinds of behaviour they entail. Mixing them up unwittingly can turn out badly – tactically and even “legally”. • their objectives, goals, projects under way and maturing. • their past strategic behaviour (attitude). • the means of action that actors have at their disposal. 9 – Remember that when we talk about political action we are really talking about communicating to bring about change. This means that we can’t just express what we have to say. We also have to say what the interlocutor can understand, in a way that she can understand it. – excessive communication is not “message”, it’s “noise” (or SPAM) and only puts people off. Memes, which we can consider to be in-between stages of the creation of memeplexes, are terribly concrete. And if we apply the metaphor to ourselves, it is very difficult for a coalition of several memes to come together and create a memeplex that exactly matches our own body of ideological beliefs… there’s a lot of work to be done. This shouldn’t discourage us. It’s a good thing. Meme transmission shares the characteristics of all evolutionary processes: fecundity (some ideas are particularly effective), longevity (they persist for a very long time) and accurate copying (traditional conservatism, specially as taught in primary education, that is, Freud’s “compulsion to repeat”). In the same way that genes self-replicate just because its their nature (that is, unconsciously), memes also tend to replicate; a good idea isn’t really a good idea unless it can also spread successfully. This means that memes are indifferent to truth. I’m not talking about tension between good and evil, but about something much more trivial, more like “the customer is always right.” In the current climate (the dominant meme), it’s not enough to say something “isn’t true”: We have to create a stronger meme, one that can devour the existing one. How? How do we make our meme go “viral”? The basic thing about memes is movement. “Life is a fusion of two types of stability: the stability of dynamic self-organised systems (autonomous or autopoletic systems) and the stability of replicating forms or templates (DNA-ARN)”, which are comparable to genes. The first are systems that function outside of thermodynamic balance, the latter are energetically stable structures subject to recombination. The fusion of these two forms of stability leads to the concept of information (genetic information). As such, they are also the biological bases of communication” and of life. Newness is our responsibility. It’s extremely difficult. Our ontological nature makes us tend to be dependent, possessive and insecure. But above all we tend to be conservative: we only trust familiar patterns, we feel a compulsion to repeat. Our whole psychic structure is totally resistant to change. Doing something that is unfamiliar and truly new for us requires an extreme effort of consciousness and will, while our nature tries to pull us the other way. Particularly during difficult times, we return to familiar places and defeated practices. But didn’t we want to bring about change? If so, we must make this effort. Indignados’ is a digital native movement, and this “novelty” was behind the great qualitative leap in comparison to past movements. But when difficult times hit, it has tended to regress back to familiar models that have been used before, and are now obsolete. We must defend the courage to experiment with new ways of doing things, right up to the very end. We should learn to read the signs, so that we can plan ahead. “The best way to predict the future is to create it” (Peter Drucker). And “You can and should shape your own future. Because if you don’t someone else surely will do it for you.” (Joel Barker). The future is made up of tendencies that are a continuation of the past and present, along with elements that are totally new. This means that we have to understand what’s happening today and what happened before. We have to learn from history and then put the same amount of effort into inventing. Yes, it requires willpower. It requires taking a strategic attitude to our desires and our nightmares. Survival itself means learning to see what’s ahead. We can’t subordinate the effectiveness of an action to ideological prejudices. This doesn’t mean that anything goes, even immoral acts. Once we’ve pre-set our objectives (“ethical” should be implicit), we should sweep away the prejudices that pop up in our minds because of human nature. It’s simply fear of the new. Just sweep them away. With our willpower. Do our crying elsewhere. Not “doing” things that we need to do can end up being expressed in many forms. Without pleasure and rage, there’s no empowerment. Without empowerment there’s no rebellion. Without rebellion there’s no r-evolution. Not “doing” can also take other forms. The best way to response to this problem may be to read the hacker manifesto called the “Cult of Done” (3). I am pasting it below, but first I want to remind you that we only have to “do” the few times that it is necessary – with specific goals, focused plans and quick, targeted victories. As mentioned earlier, too much “doing” is not “doing”, it’s noise (see SPAM above). you are doing, so just accept that you know what you’re doing, even if you don’t, and do it. b – choose the concrete stages or “memes” that will create memeplexes. c – find a lowest common denominator that you share with your target for each meme. d – create them in the right order. e – before you release it (and only when it’s completely finished, so you don’t bother busy people) check it with like-minded peers for feedback, improvements, contamination, positive energy, dissemination. f – aim it at the target and release it, knowing that it will activate 10% of your selected target. g – if the meme manages to take over the space of another existing one, it will be co-opted (1) and the operation will have been a success. h – so we’ll disappear. Unfortunately, in most cases we only achieve c) even though we’re really after a) and b), because we are weakened by the innumerable self-referential tics that only amuse the person or group that launches the action and like-minded people. Self-affirmation can be good, until we reach a certain threshold. Then it becomes counterproductive because it is not inclusive, it creates borders, hinders expansion, creates a boundary that limits us and makes us recognisable and exclusive. Also, you get what is known as “double bind” in psychological jargon: a contradictory imperative that is inherently impossible to fulfil, such as “be free”, “be spontaneous”, “be anti-capitalist”. We need to realise that our target audience is probably made up of people who are not like us. This means that we have to let go of insecurities, stop repeating our beliefs (which should be well-embedded in our souls by this stage), and concentrate on what our interlocutor – the target of our efforts – needs (even if this target is our enemy). As in all dialectic relationships, we can’t ask the other party to come to us. We have to find shared ground, or go and find them on their own territory. In the current context of the Indignados’ Movement, I’m particularly interested in “the middle class” as a target group. I’m using this term in the positive sense too. I can consider myself middleclass. By middle class I mean people who are middle class and those who want to be so. And those who don’t want to be middle class, they feel upper class, but will end up being so anyway. And professionals, and working class or unemployed people who aspire to the promise of the “middle class”, that is, the idea of some kind of dignified life within this system that sells the precariousness of life as a temporary circumstance when it is actually the main condition of their existence. The middle class is the largest group of people who participate or sympathise with the Indignados’ Movement on a mass scale, and identify with the movement’s outrage or “indignation”. It is also what sets 15M apart, not to mention the fact that it allows for the “non-criminalisation” of the movement to a large extent. The middle class are also the group that political parties need to cajole in order to legitimise their power. It therefore has great leverage in this battle. The middle class is the group that has suddenly flirted with politicisation on a mass scale. It can continue along one of two paths: it can follow the opportunity for change, roll up its sleeves and contribute to pushing the current system over the edge, or it can succumb to the fear that the existing system wants to instil, in which case society will become increasingly fascist, as has occurred at many other times in history. Once again, we have the tension between repeating familiar models or having the courage to create something new. Without relinquishing the radical nature of our utopias, we have to be able to mediate among ourselves; it’s important to breathe optimism and empowerment into adversity. Rage is not standardised, and each of us has different limits and experiences. If we want resounding victories, we must be inclusive. 14 – We shouldn’t do the things we like to do, but the things that we can win at: and we’ll end up liking it. If the enemy is powerful, it’s not in our interest to make it feel that it is under attack, because then it will swell. It’s in our interest to make the enemy feel betrayed, unmasked, abandoned. Why do we continue to confront the enemy directly even when we lack the numbers or means? Why do we need to measure how radical we are against daddy-the system? Why do we do the same thing in our personal life? We do it when we feel small or defeated or angry. To be aggressive towards the hierarchically pre-designated interlocutor is a consequence of depression. If we ignore this interlocutor, it doesn’t mean we are not firm. Reacting to provocation is a sign of weakness. Indifference and steamrolling ahead are signs of tenacity. The measure our radicality is history, now and always. The history that we are able to create. It’s not a matter of principle. The proposals that we bring to our spaces of organisation have to be in a finished state. We don’t organise a campaign just because we need affection (let’s join forces!). And we don’t get behind a fantasy just to feel less alone. And then there’s the counterproductive obsession with counting how many of us there is, in order to find out whether we’re right. We don’t organise a campaign as a way of getting people to work for free towards our grand ideas. And we don’t really believe that everybody has to stop what they are doing because what we’re doing is better. We don’t organise campaigns to educate them. And we don’t organise campaigns and then infinitely examine the nuances because we’re afraid of going out on the battlefield. Then there is the ethics, which is implicit in actions. It is the direction of “doing” (the body of theory we carry in our hearts). There’s no time for purity. There’s not enough time; the enemy, the real enemy, quickly regroups. When we think about anything we’ve ever learnt, we can see that we learnt it because we encountered it at a point in our lives when we were receptive to it, and needed that knowledge. Whenever we’ve learnt anything it was because our practices became learning, ideas. We won’t force anybody to learn; we can only share what we know, so that it can be picked up by those who need it. And as Marx – Groucho Marx – says: better new than never. We’ve been able to do it and we’ll keep doing it; this is why we’ve been able to take a r-evolution into a space of arid thought. See you there, along with my personal heroes who aren’t in any book. But I do think that we should take advantage of the widespread contempt for women. The enemy don’t see us coming, and by the time they realise, it’s too late for them. – The Internet as a tool for counterinformation and self-organisation; as a way of ending impunity and the atomisation of ideas for change. – Netiquete and a new ethics that favour maturity and autonomy thanks to the recognition of each individual’s merits and skills, and the standardisation of forms of organisation that favour decentralised control, the empowerment of end users, and the shared distribution of resources. – Spaces: affinity groups and online collaborations; anonymous, viral presences; “brand” development; assemblies. – The “how”: be radical, demand the possible. – Learn to win: whenever there is change, there is loss. – We need to be present at all levels. – Letting ourselves be co-opted. – Finding resources within the system. Erick S. Raymond, «The Cathedral and the Bazaar», Indianopedia version. Thanks to my friend Stef for passing me “The Cult of Done”. I think this is the original source, but I’m not certain. When I say “do your crying elsewhere” I don’t mean “go and cry on your own somewhere like a stray dog” I mean “we should treat our spaces of organisation as a space where we go once we have our ideas straight, not a space where we can dump our insecurities and weaknesses.” We have to build ourselves strong affective networks that include other spaces in which we can care for each other and show our fragilities. But we shouldn’t ask strangers who may feel as needy and lost as we do to cover our emotional needs and understand our fears. Our space of political action and our emotional space may be the same, but this is not usually the case. – Amador Savater: “¿Cómo se organiza un clima? 1- When you start an improvisation, accept things as you find them. Use the elements that are available, never say “no” to them and try to impose your own. 2 – Always ask “why?” about everything. The contribution I can make is basically some working notes in relation to the activities of the last few months, which are about the type of struggle we have been constructing over the past few years and, on a practical level, on how to face up to the problems that we are encountering at this point. We believe that the struggle we have been participating in – for the defense of the Internet and sharing – has been crucial for arriving at the #15M movement. Firstly for the maturity it has created, which cuts right across all layers of public opinion, both in terms of defending something that belongs to it and is in danger of being snatched away – the neutral Internet – , and secondly in terms of ethical ways of relating to others. It is clear that the Network of Networks is changing the history of humanity. It does more than just allow for rhizomic forms of counterinformation and self-organisation, and more than just leave economic and political powers bewildered by the end of the univocity of their messages – of their monologues – in the face of the real-time dissolution of the impunity of their decisions aimed at perpetrating power and their own interests. Rather, the people – through the Net and like the Net – are dialectically putting an end to the fragmentation of ideas of change and the endogamy of groups, setting up a new ethical system that recognises the merits and skills of each person and allows for their maturity and autonomy, and normalising forms of organisation that are based on decentralised power, the empowerment of the end user and the shared distribution of resources. Netiquette  enables and structures the behaviour of people in the group, providing an at least partial solution to one of the problems that we have always encountered in social movements: the psychological aspect, the personal fulfilment of each individual in the struggle. This aspect, which is often ignored, plays a particularly important role in destroying movements. Using the same medium, although for reasons that are partly different here than in Arab countries for example, public opinion has been getting ready for the re-evolution. It is not only possible when you reach rock bottom, it is not only desperation that makes it possible. It is also possible when we arm ourselves with tools that allow us to think and develop autonomy, ideas and intelligence. In our text for last year’s FCForum, we tried to explain to our international activist comrades involved in the defense of the Internet that the way Spanish public opinion matured and evolved on the subject of the defense of the Internet and against the “Sinde Law” on intellectual property was not simply anecdotal – on the contrary, it was the construction of something. They didn’t pay much notice, and now they’re astonished :-). The awareness of the need to defend the Internet has taken root, and together with the organisation of struggles through social networks, this process has been a training and empowerment ground and the fuse underlying the explosion of the #15M movement (which is naturally influenced and constituted by the convergence of many years of a very diverse range of struggles, as well as the possibility of massively and collectively sharing the frustration of being fed up, which we used to experience in isolation). make people indignant first, then inform them, and then ensure the strategy catches on. The idea is to inflame you, not teach you, Jean Genet said. reveal the falseness of the cliches through irony and humour, not through dogma. We do not teach; we share and magnify shared perceptions. 1 – Work that takes place out of the spotlight is carried out by groups that share common interests and collaborations on the Net. To name just a few. Nobody knows how many there are, how many or who we are, who is responsible, or what they will do, but they are a trademark in the light of day, you can interact with them and obtain good results. Finally, in these prosperous times, we dissolve, putting our skills at the service of collective decisions; we dissolve into the general assembly of the people which,with its extraordinary collective intelligence, never ceases to amazes us, even though has been theorised: when all is lost, a mature assembly, of people who have their own opinions and have been informed and counter-informed on the Net, free from dogmas of one tendency or another, an assembly of between 1000 and 4000 complete strangers, mysteriously does the right thing. be radical, ask for the possible. Here we come to an aspect that is violently confrontational with a sector – a small one, fortunately – of the 15M movement. If the reader will allow me a simplification that is somewhat exaggerated due to exasperation because of the number of hours we have spent on debating with it, the people who make up this sector are the people who we consider to be the real problem, Trolls aside, on one hand I’m talking about the “pure” radicals who think that the system cannot be reformed – so far, so good – but also sabotage attempts to use reformist demands as a guerrilla form. And on the other hand, the “critical intellectuals” who you don’t see much at assemblies because they’re busy rewriting history with texts of the “What now? A Pacific 19-J demostration Destroys Revolutionary Potential” variety. We think that right now demands for reforms structured in a pragmatic and no ideological way are the only manner to deeply transform the current system; because the system is ready to face enemies, but it is not ready to have its own internal contradictions blown open. Confronting the system with an ontological impossibility “destroy yourself”, determines its way of defending itself: to become your antagonist. If you force a closed system that is bunkered down in the defense of its privileges to “improve itself”, the only possible way out that remains to it is desertion and escape. We all know that it is necessary to leave an exit open for the enemy if we want to win. We should also learn to win. In these times of great victories, we can clearly see how difficult it is to accept them as such. We don’t know how to win. Those who exaggerate the confrontation cannot “do” anything anymore because the confrontation is its only way of “doing”. Now that we are winning, we need to abandon the trenches perspective and accept the freedom to mediate with our dependency without the need to destroy. Transformation always entail loss, even when change is possible, but that is no reason to avoid it. We have to be aware of it in order to free ourselves of nostalgia. The dynamic that has destroyed great revolutionary experiments is an inner fear of the new; this is why we want our message to be coopted, and we want to claim a victory when it happens. Perhaps what I’m going to say next may appear to be a bit “Icelandic”, but if is an opinion I share with many people in the 15M movement. If in the space of only a month, politicians have already taken several steps in an effort to copy or apply our demands, we should be pleased and claim it as a victory. With VdeVivienda we didn’t claim victory when the Minister Chacón implemented the “youth funding” scheme. True, it is difficult to claim something as disgraceful as this as a victory, but not doing so may be what demoralised and weakened us at the time. Because the accusation that hurts us most – given that it cuts off our communication with a large part of society – is not that we are violent, but that we’re just a bunch of kids protesting, with no ideas and no ability to govern ourselves. Of course the politicians who take some scraps of what we say do so badly, of course they do it for populist reasons, but they are being forced to do it because we have demanded it. Of course it’s a joke payasada, but we should celebrate it as a victory, every time, because it proves that they are afraid of us, because, whether they like it or not, we equal votes, and for them losing votes means losing their job. Isn’t that what we want, to fire them? Our strength lies in sneaking doubts into their minds, nightmares, thoughts of justice that they would never have imagined themselves having. To rupture their psychic structure, their imperturbable calm. The techniques of escrache are essential. It is curious to see that those who reject this tactical option later ferveently defend protests against the retalladas, the cutbacks, as if that weren’t the most reformist demand of all, and as if everything had been wonderful before the cutbacks. The first thing that has to change is language, and the change must be based on profound self-criticism. We can no longer rejoice in the martyrdom of asking for the impossible; we must evolve beyond accepting a role as antagonists on the losing side. The very language that we use is incomprehensible so that we can claim to be misunderstood. We have to be responsible for our actions. If we cannot be understood by the majority, we help society move towards “fascistisation”. Because of the euphoria and then the strength that it gave us to see ourselves united in such a great multitude in the 15M movement, some people are now trying to impose particular aesthetics and language, dogmas that have been mentioned and repeated like mantras for many years now. It is understandable, these are words that we have fought for, and that we are very attached to, but they are overused and faded now. Please don’t misunderstand me: words are one thing, ideas are another, and there can be excellent ideas but they can be expressed through synonyms, we could say, which ultimately have the same objective. In fact, the massive consensus achieved through the 15M movement did not come from any of the words we have been repeating for years. The new words are “Iceland”, for example, and “Time for Outrage!” (Indignez-vous! ), a small book that is weak on content but introduces a new, inclusive imaginary and a word that hasn’t been exploited yet. We’re getting it wrong; we’re not winning because of what we have always said, but because of what we have always defended. In other words, first comes the practical abolition of privileges, and then global justice. That’s how 15M was born and this is its wave, whether we like it or not. What we have been defending for some time now already forms part of this wave, it goes without saying and we have to express it through new aesthetics and words, ones that are based on winning. The old words only suggest defeat and division, and now is the time for victory and for infinite diversity with a few minimum common denominators. A global association of radical reformist egoists. If you ask people to hate their way of life they will position themselves against you; if you share their hatred arising from the same frustrations, we will be invincible. As the Icelanders say in mundane terms, “occupy the media so as to win over the people who watch TV”. Don’t we want that mass consensus? What’s wrong? Don’t we want to mix with the people? If we use the language that the majority understand, we will naturally be using a language that has been absorbed by the system. So? What’s the problem? What people are asking for (and I include myself) is to understand the laws that govern us. People are starting to see that laws are accessible and quite surrealistic texts, written by mere mortals who are terrified of losing some of their privileges. This is the base of the great empowerment of the people that is taking place right now. They no longer respect the law, and I’m not talking about the idea of the law, but the law-thing. They read laws and discuss them. They no longer delegate this operation to specialists. We have been working like this since the time when Barcelona’s civic by-laws were being introduced (2005). For us, the main part of the game is to study the law, understand it, explain it in other words, make fun of it, hack it to render it useless, destroy its authority by replacing it with other positive channels that will ultimately be coopted with the bad taste and time-lag that characterises the system, clearing away whatever had been there previously and leaving a blank slate. 1 – To create a “fork” between the “Iceland aesthetic” and the “Greek aesthetic” so both of these can co-exist without clipping the wings of either. What is proving most difficult these days is to fight against the deeply rooted idea that it is “better to remain united” when internal tension is bringing things to a standstill and when our real strength is actually the fact that we have a thousand faces and a thousand names. 2 – The time has come to show immediate results. We’re working on it. 3 – For all of this, it is necessary to generate economy: we need cash. If we don’t free up time for political work within capitalism, they will win. Conservas, the cultural association that we have set up, as an “anomalous” cultural institution, considers the cultural subsidies as an important contribution to the r-evolution, given that culture – as we understand it – is a fundamental ingredient of the r-evolution. Obviously, this has also brought well-being to its members, because as I said earlier, without the economic health of artivists, the r-evolution loses a lot of energy. Now that there are no more cultural grants, we must re-direct the litany of the cultural sector that “we want more money for artists.” The issue is not how society will feed artists, but rather where artists will get money from in order to take it to the r-evolution and society. Aside from this, we are studying microcredit and crowdfunding systems, so that they can shed their aura of poverty and charity and become real sources of self-funding within and against the capitalist system, on the level of something like “venture anarchism”, to paraphrase our comrade D. Kleiner, Telekommunisten. In cases that generate profit or other benefits, the “creating” community must receive part of these benefits. Xnet (ex EXGAE) proposes that 15% of the profits obtained by content distribution platforms be shared among those who contributed content to said platforms, based on a inversely proportional cube root estimate based on a scale of 1 to 1000 that goes from the works with the highest number of visits to a minimum, agreed-upon amount. Finally, asking for an end to the privileges of politicians, bankers and the rich is not a moral position; it is a way of creating funding which is what we are really after. Think, develop and then act. Before you pitch an idea, investigate. Perhaps somebody had the same idea before you and has already put it in motion. Otherwise it would mean speculating with the prior non-existence of this project. In your proposal or project, you must mention the resources that you need, the resources that you have, and most importantly, what you will contribute. Hacktivism consists of two parts: one is knowledge, the other is eagerness. You do not need to know how to intervene in the communications of half the planet. Others will take care of this, but you will have to contribute as much as you can to the project because it was your idea and you are the most interested party. But the most important thing is to follow up on your proposal. Pitching ideas on the run and forgetting about them is a loss of energy. Of all of our energies. Threads without continuity always turn up sooner or later, and the work that was invested in them vanishes into thin air. Many members are specialised in a specific subject; it is important to recognise the skills of each person. It seems that the really difficult thing is to understand your interlocutor. We are too busy trying to think of an answer to understand everything we’re told. We hacktivists we are pioneers in reading, understanding and then, if it is really necessary, giving an opinion. We will put ourselves in your shoes before expressing disagreement with you. And we hope that you will do the same for us. There are two choices that you can consider, and you’ll see neither of them are correct. On one hand, you can assume that each person has a valid opinion that must be discussed and from which can give rise to a collective action. This is necessary for encouraging participation. The other option is to assume that we are all idiots, and that we don’t have the right to make mistakes, thus ruling out the message. As you can see, neither of the assumptions are totally reliable. This is why we position ourselves in the middle. In the option of understanding before acting. 9 interviews with experts on transparency issues, including Simona Levi from Xnet.